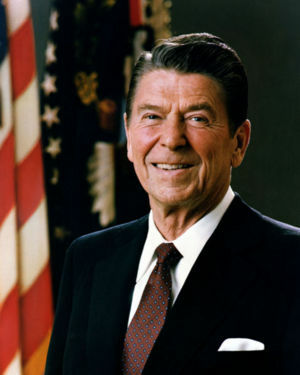 Ronald Reagan, the 40th President of the United States of America, actor, and five terms president of the Screen Actors Guild. An actor (male, though the term is increasingly used for both males and females) or actress (female) is a person who assumes a role for the purpose of entertaining others, through a television show, a radio broadcast, a stage play, or a movie, among others. Actors are highly respected in American popular culture, and the details of their lives closely scrutinized, some say to the point of absurdity, by the paparazzi. By comparison, actors in Ancient Roman society occupied a very low rung on the social ladder. This page was last modified on 11 July 2016, at 19:18. This page has been accessed 10,573 times.